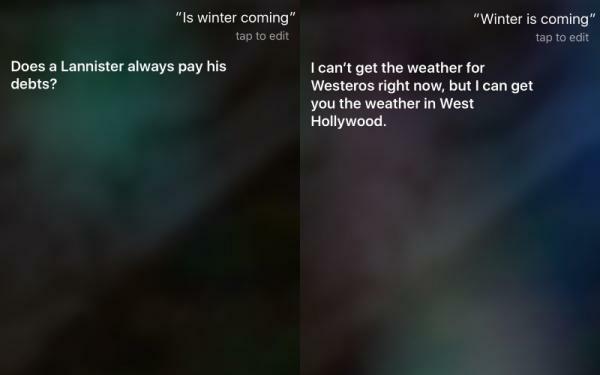 Before you get too excited about what Siri's insights on the fantasy epic Game of Thrones are, remember that Apple's virtual voice assistant can probably outsmart you. The season 6 of HBO's Game of Thrones is set to premiere on 24 April. So, if you are still to catch up on previous seasons, this may help you. 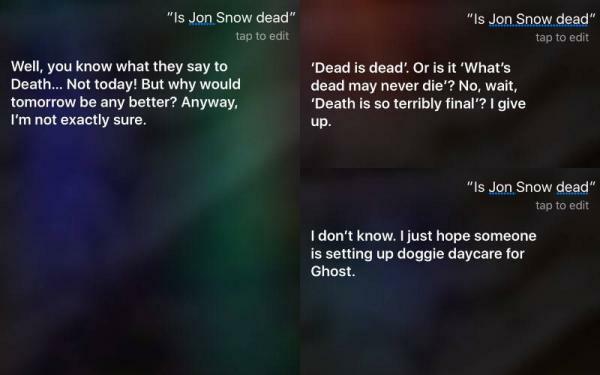 But if you are up to date on the developments in George RR Martin's world, then Siri knows exactly what to say when you ask her what all Game of Thrones fans have been asking - Is Jon Snow dead? Siri, do you watch Game of Thrones? "Yes. I'd ask Jon Snow for some hints, but he knows nothing." "Who me? 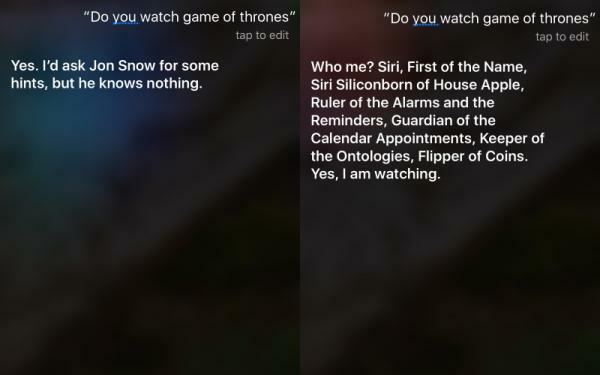 Siri, First of the Name, Siri Siliconborn of House Apple, Ruler of the Alarms and the Reminders, Guardian of the Calendar Appointments, Keeper of the Ontologies, Flipper of Coins. Yes, I am watching." "I can't get the weather for Westeros right now, but I can get the weather in West Hollywood." And, here comes the million dollar question. 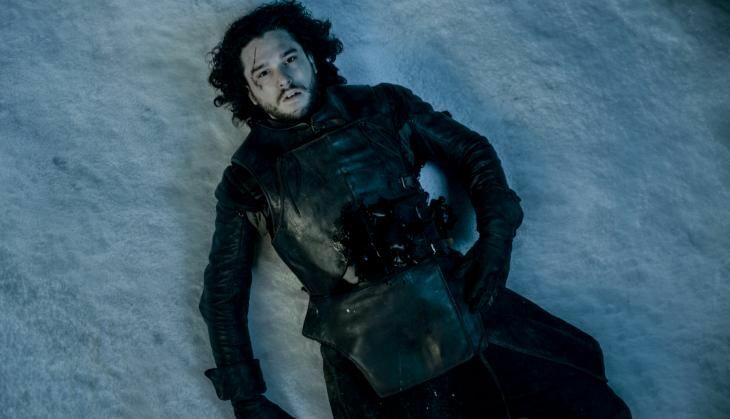 Ask Siri "Is Jon Snow dead?" "Well, you know what they say to Death... Not today! But why would tomorrow be any better? Anyway, I'm not exactly sure." "'Dead is dead'. Or is it 'What's dead may never die'? No, wait, 'Death is so terribly final'? I give up." 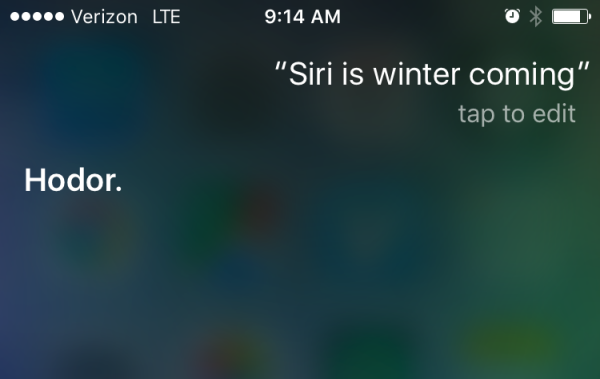 And how can Siri not bring up Winterfell's gentle giant, the ever-so-loyal and simple minded, Hodor? Siri may be an extremely useful tool. But her sass and the humour is an endless source of entertainment.